Picking up from where we left off , Yue Fei is battling the bandits. Well, more like he’s showing off his spear skills, because he doesn’t look like he’s even breaking a sweat. Yue Fei must have a thing for near deaths, because he throws the spear at the bandit leader, a poor guy who wets himself in fear. Xiao E looks on, mildly impressed. 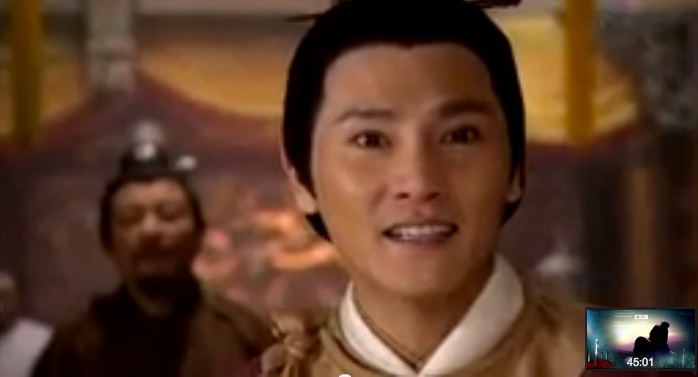 Song’s 9th Prince meets up with his father concerning negotiations with Jin’s emissaries. The Emperor needs to be reminded of his own son’s name. Man, I know you’ve got a harem and all, but seriously? 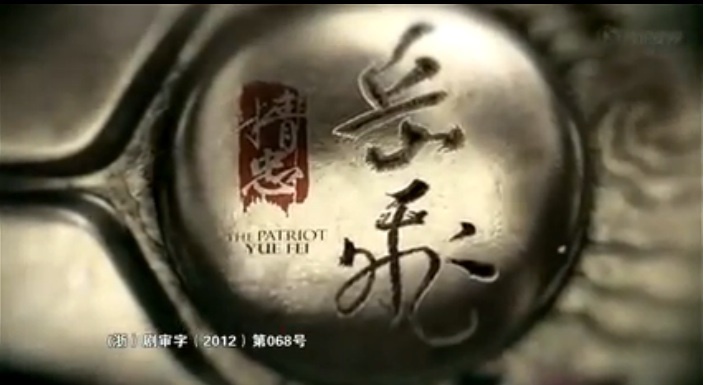 On a side note, Yue Fei and co. have entered the city at the same time as the Jin emissaries. They watch in the crowd, concerned as the Song ambassador talks about the sad state of Song’s finances and how Song is being bullied by Jin. A Jin girl (I’m guessing she’s related to one of the Jin generals) marvels at the pretty artwork and intricate architecture of the palace. The Jin general scoffs that Song obviously spent too much time indoors – unlike manly Jin. Poor 9th Prince looks like he’s way out of his league with the demanding Jin. Thankfully, the Song ambassador (Official Han) walks in to his aid. Except…he doesn’t do much other than cough and talk about his rough journey, earning him a disbelieving look from the scribe. Just as Yue Fei, Wang Gui, Xiao E, and Xiao Hui are about to walk into a hotel/restaurant, they see some Jin brutes making a scene. 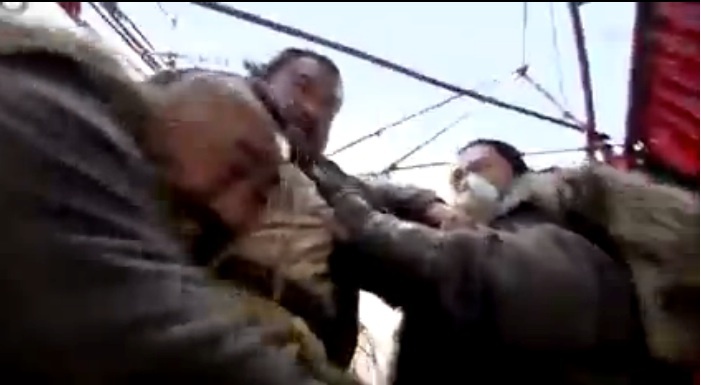 Before Yue Fei can intervene and be the hero, a large man appears and starts beating them up. Of course, Yue Fei still needs to have a hero moment so he steps in to save a vat of expensive wine. 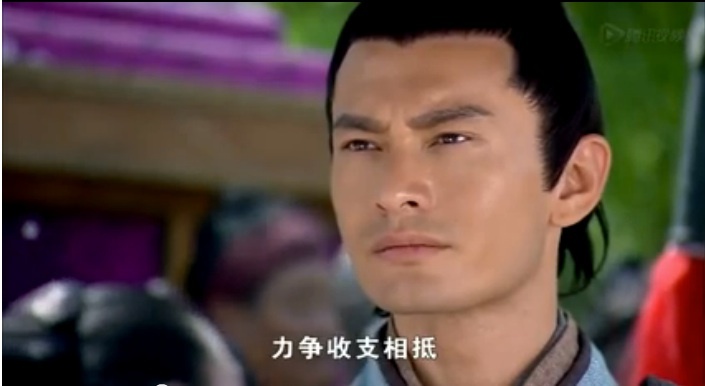 LOL this dude reminds me of Lu Zhi Shen/Li Kui from Water Margins…and he’s a momma’s boy too! The Jin general finally decides he’s had enough and prepares to leave. But 9th Prince rushes to stop him with chests of jewels…sigh I’m cringing for you. As Official Han returns to his entourage, he adopts Xiao E into his household after he’s told that she can’t find her family members. 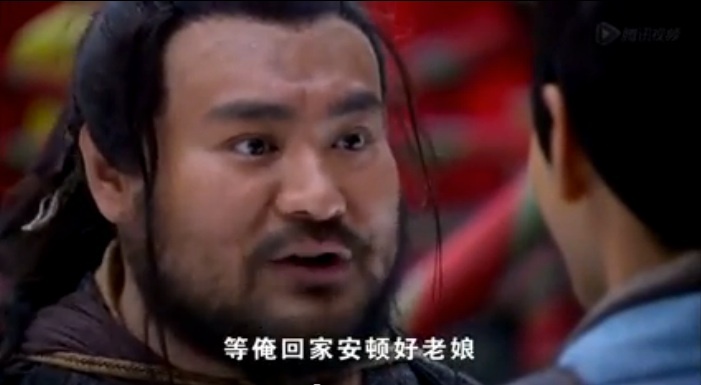 Meanwhile, the injured mountain bandits want to take revenge on Yue Fei. A mercenary steps up, intrigued by rumors of Yue Fei’s spear skills. And in the Jin camp, the generals and the Jin leader bicker over how to approach Song (play nice or fight). 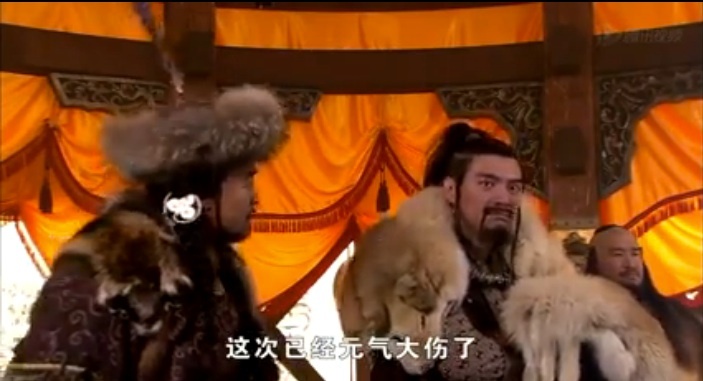 They call in the 4th Jin Prince, Wu Zhu, for his opinion (he just killed a deer with his bare hands). OH yay, the Jin general is the 1st Prince so I’ll call him that from now on. Nepotism at its finest. Official Han officially adopts Xiao E as his daughter (hehe). 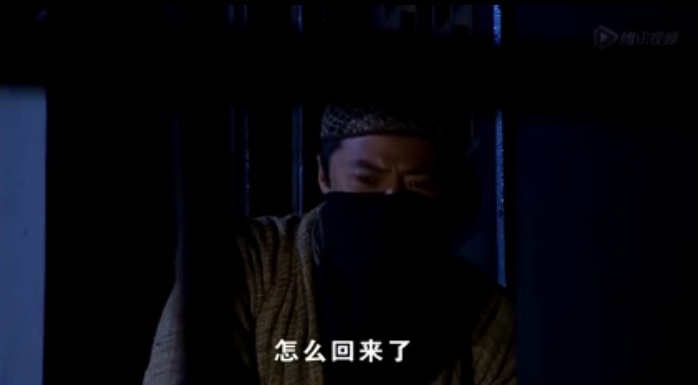 Some masked man outside the door wonders why Yue Fei is back. A warning note flies in tipping our hero offconcerning the future attack by the bandits. 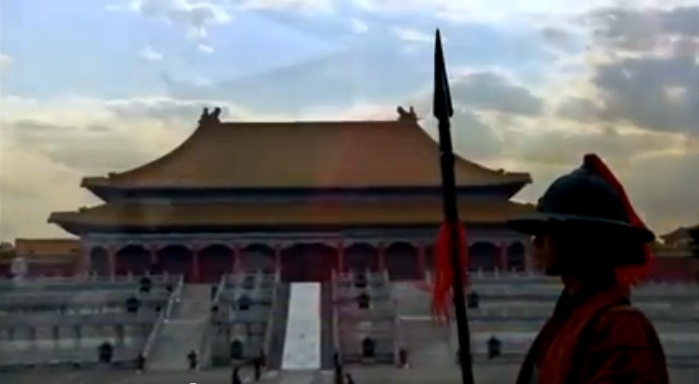 Wang Gui is sent to find reinforcements from Liu Ge. Yue Fei stares at the note, and reminisces about the past, when he and his sworn brothers took a vow to loyally serve the government together….so masked lurker was….? Liu Ge sends a small army of 2000 to save Official Han from the bandit attack. 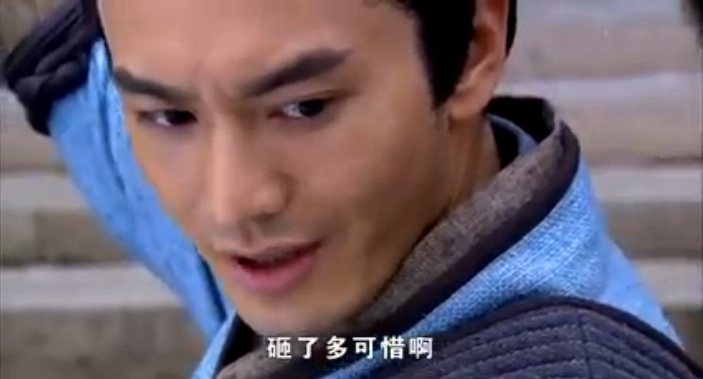 When Xiao E and Xiao Hui pick up weapons to defend the estate(pfft), Yue Fei stops them and tells them to leave it to the men. He says this all with a deadpan expression, proving he’s not sexist at all. Just kidding, I know it’s Confucianism. Yue Fei rides out to have a one on one duel with the mercenary. Everyone else comes out to watch from behind the gate. Maybe it’s because this series is airing on HBO so it’s trying to appeal to a wider audience, but it kind of ruins it for me. Everything feels a bit contrived, like when Official Han pops his head out of his carriage to repeat, for the billionth time, how poor and sad Song is right now. All without expression….hell, he’s not even talking to anyone so I’m assuming it’s just to drill it into the audience. Okay, I get it. Song’s in bad shape right now. Also, does it mean that I’ve watched too many dramas when they’re starting to look the same? The feel of the action scenes and parts of the plot/characters remind me a lot of Water Margins. Time to check the director. Yep, same dude who directed the new Water Margins….and 6 of Jin Yong’s adaptions. No wonder. I guess it also makes sense, because Water Margins also takes place during the Song dynasty. So the costumes would be similar/the same (reduce, reuse, recycle). Okay, I’m a little less irritated now. But still, some scenes are getting a little too repetitive for me. Like the bickering between the Jin leader and his sons over whether or not they should wage war on Song. 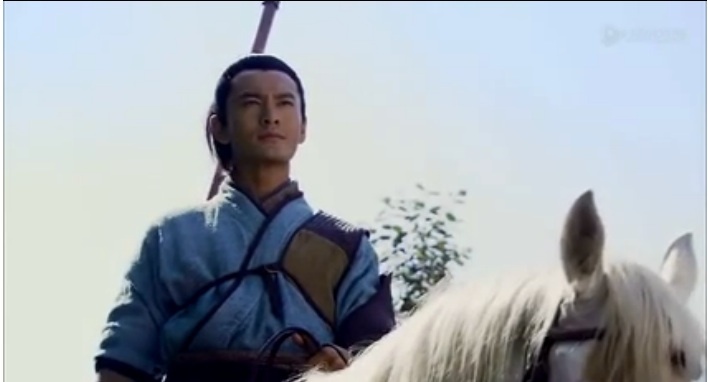 And Yue Fei flying in to save the day from bandits/Jin/whoever is being a little threatening. It’s only the 2nd episode and he’s done it…6 times by now. I hope he dials down his hero complex. Let’s be real, you’re not Superman. And Superman saves the day once per episode. Not three. This should not be a case of reuse and recycle, just reduce. 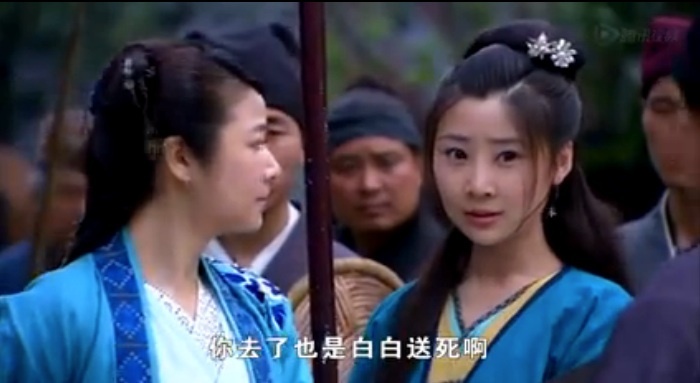 On the same topic, I can imagine Xiao E and Yue Fei scenes getting repetitive too. She tells him not to be rash and take on 1000 bandits by himself, and he just tells her not to worry and heads on out. Again, with the hero complex. Would it kill you to come up with some other solution? Channel some Zhuge Liang, eh? And girl needs to develop a heart of steel, with all the worrying and anxiety in store for her. 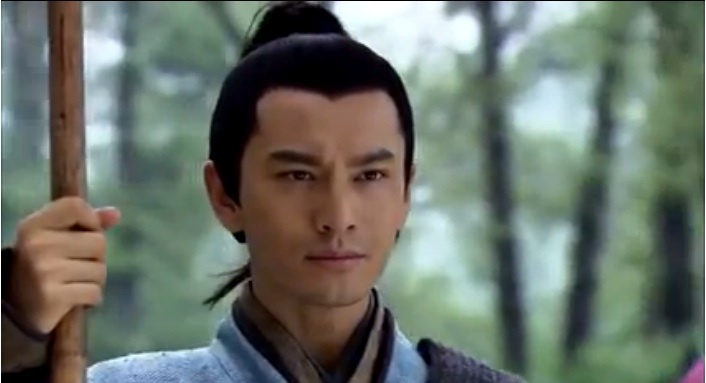 This entry was posted in Chinese Dramas, Drama Recaps/Reviews, History and tagged 精忠岳飞, Episode 2, Huang Xiao Ming, Jing Zhong Yue Fei, Patriot Yue Fei, Recap. Bookmark the permalink.